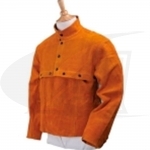 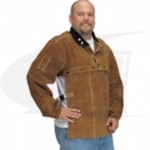 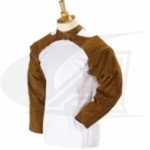 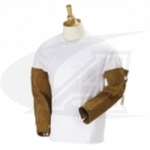 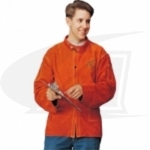 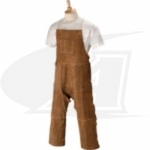 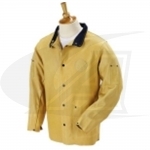 Leather safety garments are made with the finest U.S.A. cowhide which is soft to the touch and provides excellent flexibility. 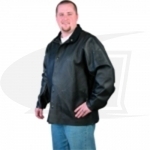 Quality leather with dense fiber structure manufactured with Revco's superior tanning process makes each item durable and abrasion resistant. 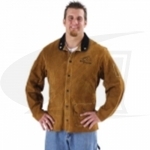 Tailored with rust-free snaps that are reinforced with a leather backing to prevent them from ripping off of the garment. 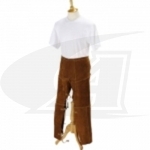 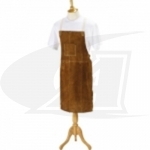 Side Split Cowhide Welding Bib - 14"
Side Split Cowhide Welding Bib Apron - 42"
Side Split Cowhide Welding Bib Apron - 48"
Side Split Cowhide Welding Cape, 14"
Side Split Cowhide Welding Coat - 26"
Side Split Cowhide Welding Coat - 30"
Side Split Cowhide Welding Coat - 36"
Side Split Cowhide Welding Split-Leg Apron - 42"
Welding Chaps, 24" x 40"